These are not fan art. You are looking at the official anime-style drawings of many of the major Harry Potter characters. 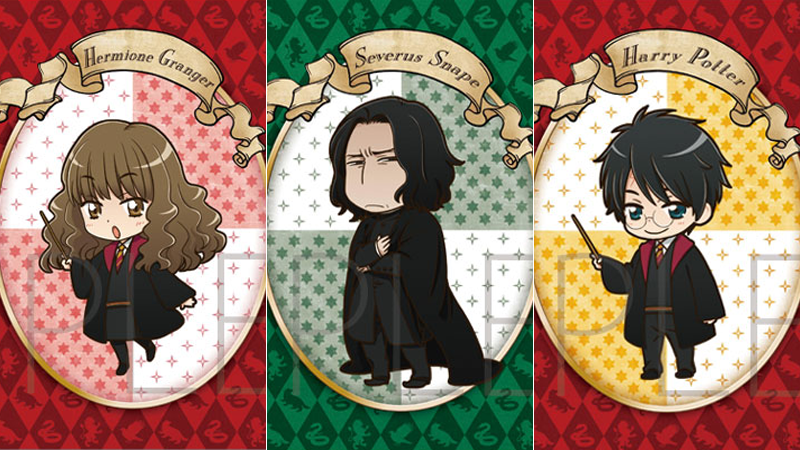 As Get News reports, Warner Bros. Japan has officially licensed these illustrations for a series of Harry Potter goods that will go on sale within the country. So far, the designs have been limited to things like folder files, buttons rubber stamps, and keychains. These designs are apparently Japan-only and scream for either a full-on anime or manga adaptation.